Fiordland National Park is well known as the ’Walking Capital of the World’, and for good reason. Its unique system of walking tracks are among the best in the world, and some of the finest scenery Fiordland has to offer can be seen from the tracks. The Dusky Track links a chain of huts from Lake Hauroko through to Supper Cove on Dusky Sound, and then back to Lake Manapouri. The Hollyford Track gives walkers views of some of Fiordland’s most dramatic scenery. The track starts at the Hollyford Road end and follows the Hollyford River on its journey to the sea. Shortlisted by the British Guild of Travel Writers for best new project worldwide. Coastal, bush and sub alpine scenery all wrapped in one. Commanding views, ancient forests and unique wildlife reward the walker. The Kepler Track is a three or four day round trip starting and finishing in Te Anau. The track passes through a variety of terrain from mountain beech forest to exposed mountain tops, and great views of the Southern Alps may be obtained on this walk. Over the summer the Routeburn Track is one of New Zealand’s most popular walking tracks. Features of the track include waterfalls, forested valleys, rich bird life, and spectacular mountain scenery. Stewart Island offers the best chance most people will ever have to see the Kiwi in its natural environment. The Maori name for Stewart Island is Rakiura -’Land of the Glowing Skies’, renowned for its lingering sunsets and the aurora. One aspect of your trip that you cannot book is the weather. 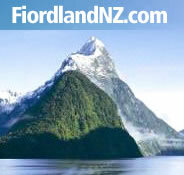 Be prepared for all conditions with this handy guide on safety in Fiordland. Be prepared before you commence one of Fiordland National Park’s many walking tracks to prevent harm to yourselfs and others.